Spencer Group were appointed as Principal Contractor for the design and construction of a 10,000m2 steel framed building for Associated British Port. 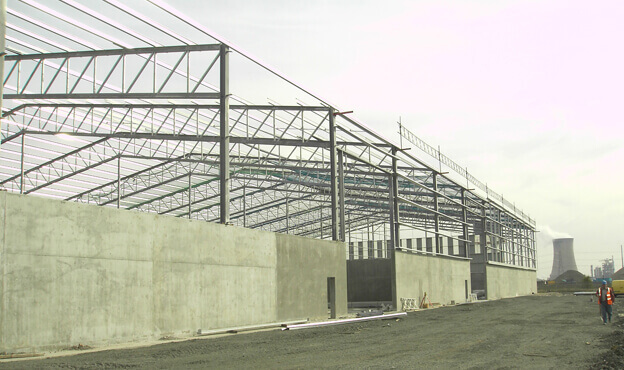 The building was to be used to provide a covered off-loading facility for finished steel products. Spencer Group also constructed the required rail link between the steel building and train network. 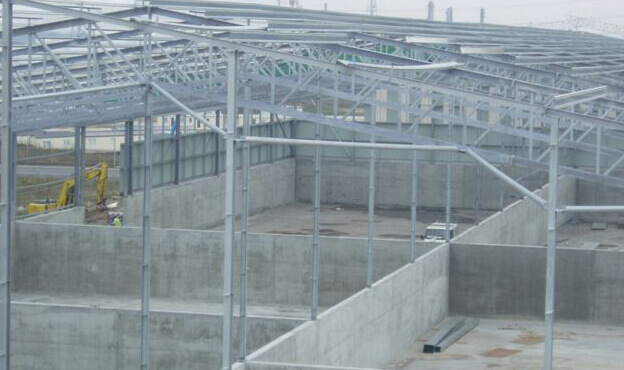 The project involved the design and construction of a 10,000m2 steel framed building to provide a covered off-loading facility for finished steel products. Reinforced concrete structures were required to form the foundations because the flooded dry-dock had to be left intact should it be required to return to its original use. The facility was installed with four overhead 25tonne travelling cranes, a rail head and extensive paved external areas to allow the unloading of a 2,000tonne vessel within 7 hours. In addition, through utilising our rail capabilities, Spencer Group were able to extend the existing rail track to link up to the steel framed building, providing efficient access. A new weighbridge and office building were also constructed to improve operational facilities. 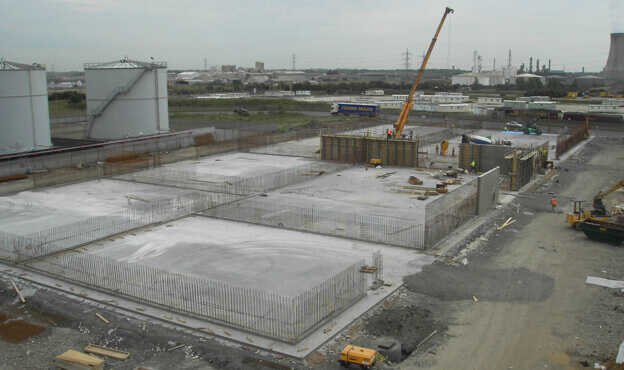 Through working closely with Associated British Ports, and holding regular planning meetings, we were able to construct a covered off-loading facility, which efficiently and effectively unloads the steel products within 7 hours. Our close collaborations also enabled us to successfully maintain the original purpose of the existing dock, should it ever need to be restored to its former purpose, demonstrating our ability to find innovative solutions to suit the client and specific design requirements.